Tears in your eyes – Where Is My Teaspoon? Being home for Christmas is so wonderful. I can’t even tell you how nice it is. Being at home has inspired me to get back to blogging so thought I would share a really quick dessert idea- be perfect for New Years Day! 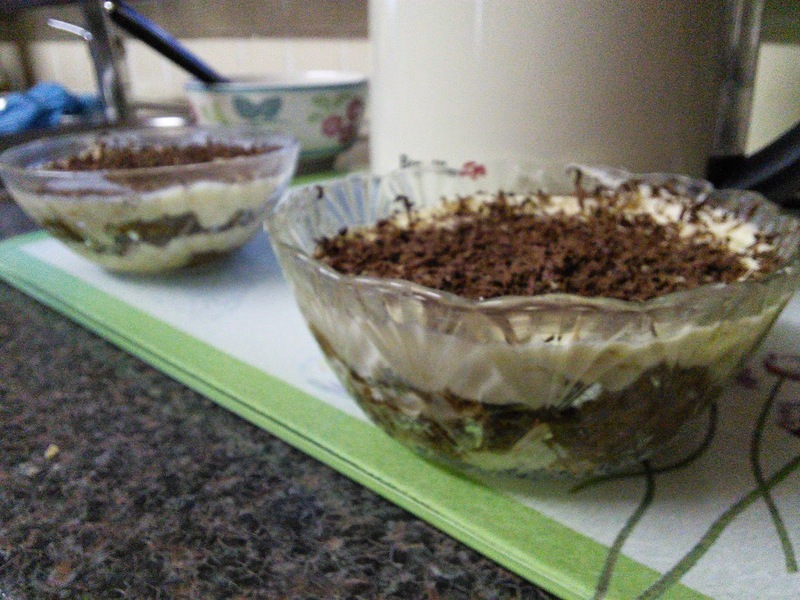 Here is my guide for making Tiramisu. I’m not actually going to give you proper quantities for this recipe because one, I didn’t note them down and two because it really depends on how many you want to make. 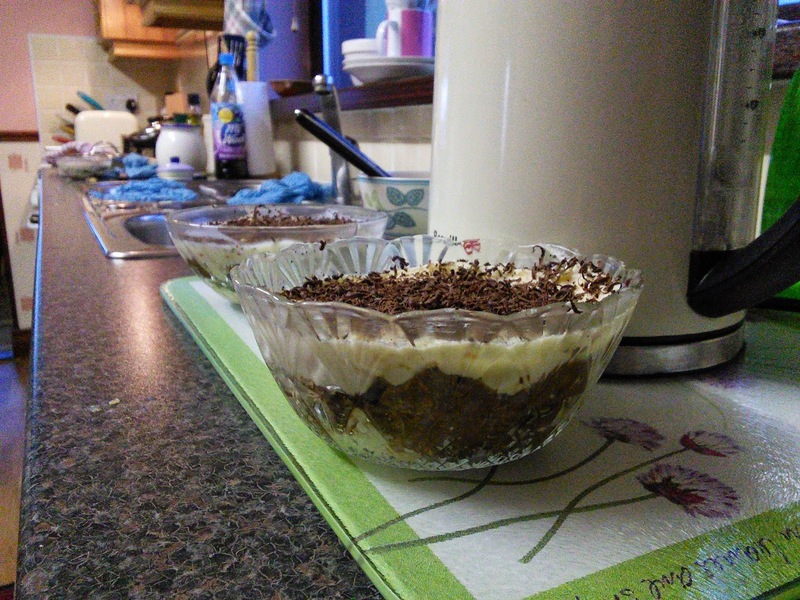 I’ve made five (big) individual portions. 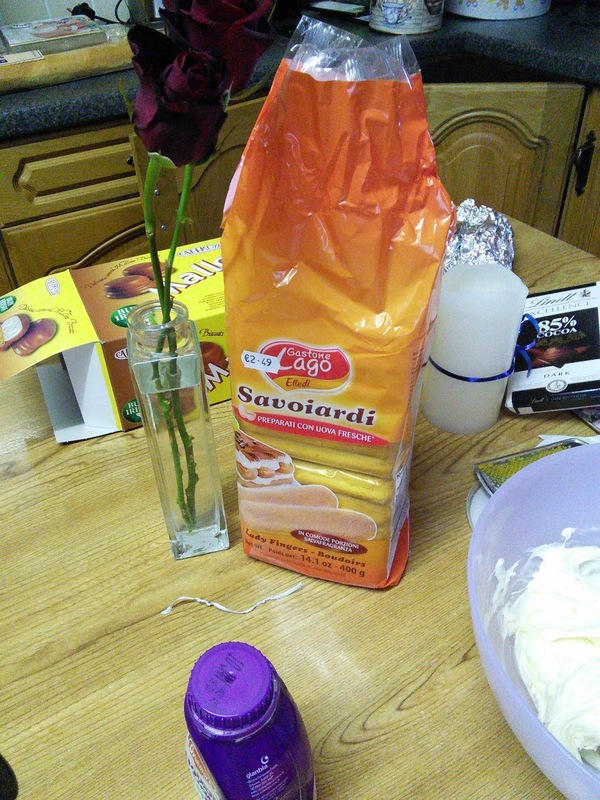 This recipe will be spongue layer, cream layer, chocolate layer and so on.. Okay so get yourself a large bowl. Tip in your cheese and beat until smooth. Pour in the cream and beat until combined. 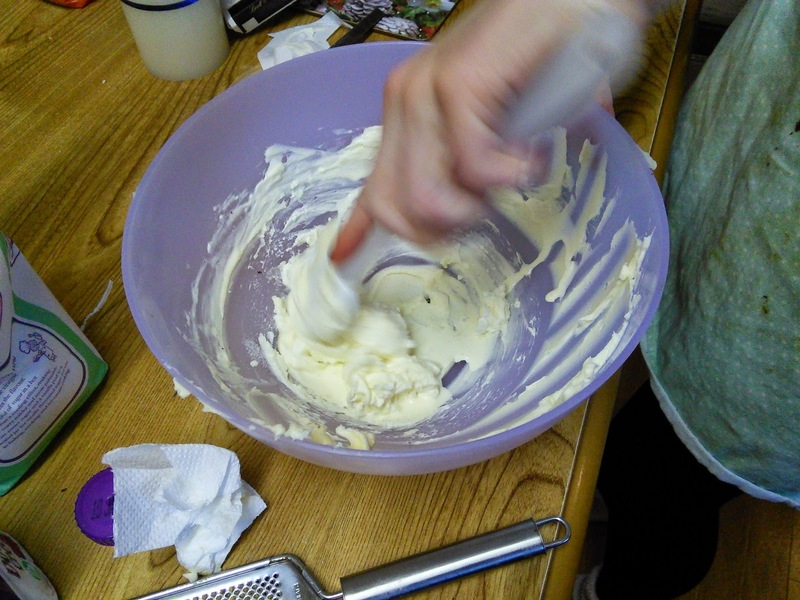 The mix should be loose enough to spread but not runny. Add your sugar and mix again. If you like, add the zest of some clementine now to make it even more special. In a separate bowl, break your lady fingers into chunks – you want them to cover the base of your bowl. Add 6 tbsp of coffee essence to start. You want to soak the biscuits until they’re soft but they need to be able to hold their structure. Add more or less coffee essence as you go.